Trainer Simon Crisford says there's no obvious connection between his horses and the 6 others that have tested positive for equine flu. Six horses at Donald McCain's yard in Chesire - which is 170 miles away - tested positive last week. Crisford’s horses have not had an evident point of contact with McCain’s in the past fortnight. The lack of a link will increase concern among officials that the airborne disease may spread. Crisford was one of the 174 stables to be placed in lockdown - because he had a runner at Newcastle last Tuesday. The horse in question, Sajanjl was subsequently cleared of the virus. Crisford said in a statement released on Monday: "None of the four horses that have returned positive tests for equine influenza displayed any clinical signs of respiratory illness, including nasal discharge and elevated temperatures, prior to the mandatory swabbing that was undertaken last Friday, February 8. "All horses at Kremlin House Stables, totaling 92 boxes, undergo a strict vaccination check and programme on their arrival. 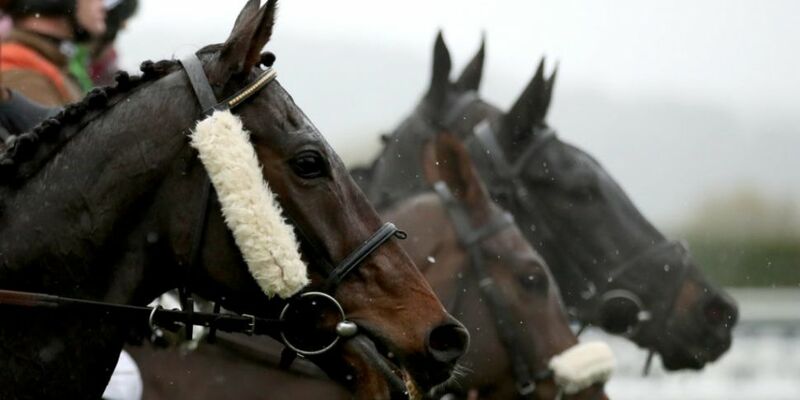 An expert says the equine flu outbreak which has brought horse racing to a halt will be hard to stop spreading. “This is an airborne virus which means it doesn’t matter how good the yard bio-security measures might be, how careful people might be about washing their hands for example.